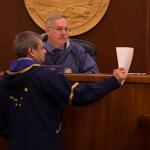 Juneau – Today, the Alaska Legislature unanimously passed a bill to update Alaska’s Code of Military Justice (ACMJ) to mirror recent updates to the Federal Uniform Code of Military Justice (UCMJ) and the Servicemembers Civil Relief Act. House Bill 307 builds on the 2016 ACMJ update, which was the first major update to the code since it was created in 1955. 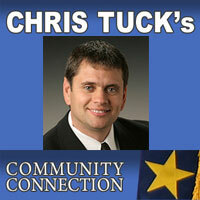 HB 307 was sponsored by House Military and Veterans Affairs Committee Chair Representative Chris Tuck (D-Anchorage). 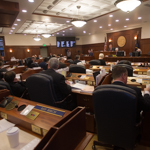 Juneau – Today, the Alaska Legislature unanimously approved a bill to extend workers’ compensation coverage to members of Alaska’s organized militia. Members of the Alaska State Defense Force are covered by workers’ compensation when ordered into active state service. However, that protection does not extend during training exercises. House Bill 126 fixes that discrepancy by extending workers compensation to cover injuries incurred during training. 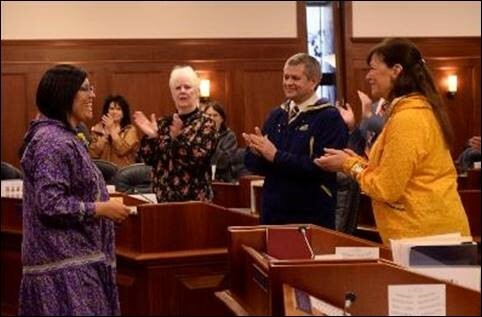 Juneau – Today, the Alaska Legislature unanimously approved a resolution calling for the federal government to help develop critical infrastructure and emergency response capabilities in the Arctic region, including the development of a deep-water port on the northern coast of Alaska. House Joint Resolution 33 passed the Alaska State Senate today after being passed earlier this month by the Alaska House of Representatives. I introduced amendment #1 to the operating budget to restore the full Permanent Fund Dividend to all Alaskans – and it passed 21 to 19. Today, against my objections, my amendment was amended down to a smaller dividend amount. This is very disappointing. I agree with former Governor Hammond’s arguments. Juneau – Today, the Alaska House of Representatives passed legislation to help struggling workers and their families weather job losses resulting from the Alaska recession, which has been ongoing since 2015. 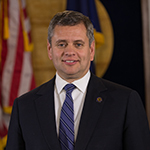 House Bill 142, sponsored by Rep. Chris Tuck (D-Anchorage), increases the maximum weekly unemployment insurance benefit from $370 to $510 over two years to match 50 percent of the average weekly wage, which is the national norm for unemployment benefits. Tomorrow, the House Finance Committee will be taking public testimony on a proposal to place the Permanent Fund Dividend into the Constitution. The committee meeting starts at 1:30 p.m. on Monday, March 12, and public testimony will be taken following an explanation of the resolution. Depending on the amount of testimony, it may be continued in the evening and the following day. The last several weeks have been busy for all of us as budget subcommittees have been meeting to review the Governor’s proposed FY19 operating budget. Yesterday, the House finalized the budget subcommittee process and passed our recommendations for each government department to the full Finance Committee. This year, I served on the budget subcommittees for Administration, Commerce Community & Economic Development, Governor, Legislature, University of Alaska, and Military & Veterans’ Affairs.